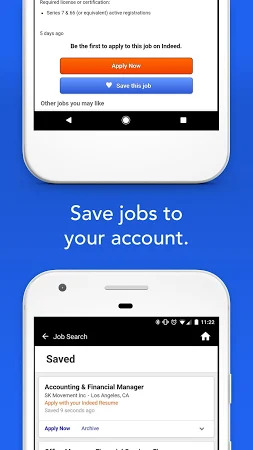 Find jobs using Indeed, the most comprehensive search engine for jobs. 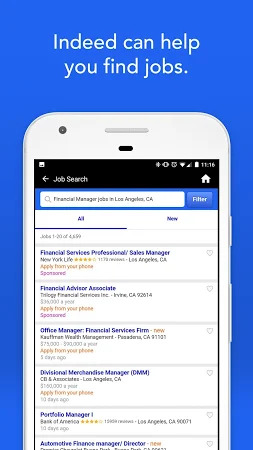 In a single search, Indeed offers free access to millions of jobs from thousands of company websites and job boards. 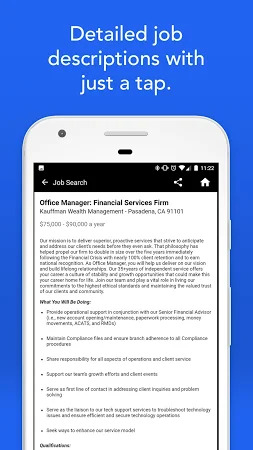 From search to apply, Indeed's Job Search app helps you through the entire process of finding a new job. According to the antivirus report, the tool doesn't contain viruses or any kind of malware. Indeed Jobs designed this application that falls into the Business category. The average rating for the app is 4.3 on Google Play. 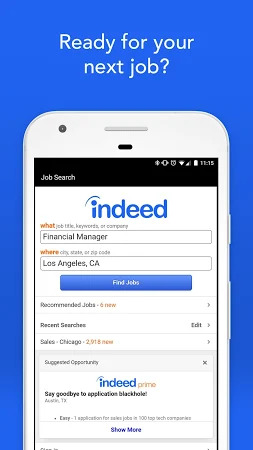 The most recent update of the tool was launched on Mar 29, 2019 and Indeed Job Search was downloaded by over 50M users. Adverts are a part of this application. Samsung and LG users like the app. 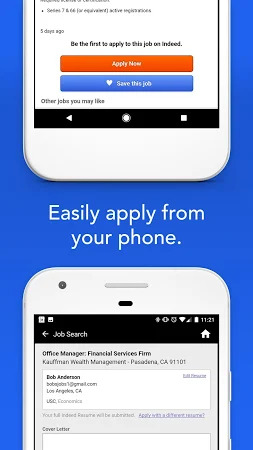 Download the .apk installer of Indeed Job Search 3.1 free of charge and have a look at users' reviews on Droid Informer. This installation package occupies 1 MB on disk. In users’ view, you can find such a plus of the app as a good layout. As users see it, the main drawbacks of this application are server issues, lots of ads and forced notifications. Find jobs & hire quality candidates for your company fast! You can search Jobs in Canada and United States using one click. An app built for the construction industry! This application mobilises Epicor Field Service modules in Epicor ERPs.